Height to 1m with width to 1m. Full shade to dappled shade. Evergreen glossy dark green leaves. 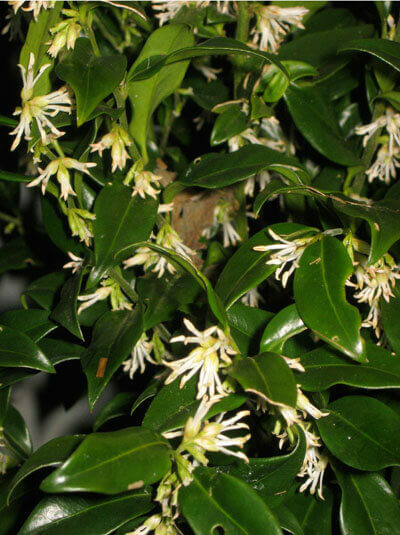 Small, highly perfumed white flowers appear in clusters during winter followed by berries, which turn from green to black and stay on the bush until birds or night creatures take them. This plant makes a great hedge, specimen, topiary or pot plant for the shady corner or courtyard.